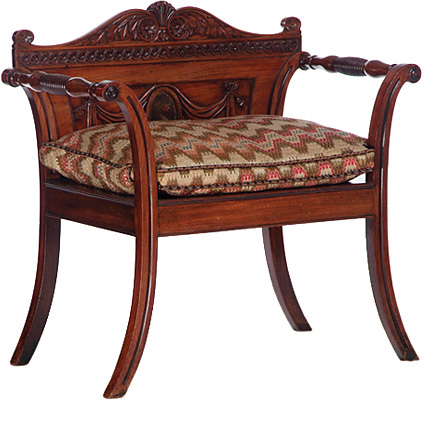 Beautiful ball or window piece based on George III Irish hall seats. 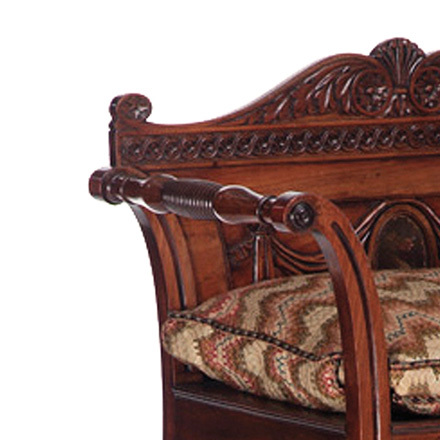 The rectangle back features a waved top rail with acanthus scrolls, flowers head terminals and finials. 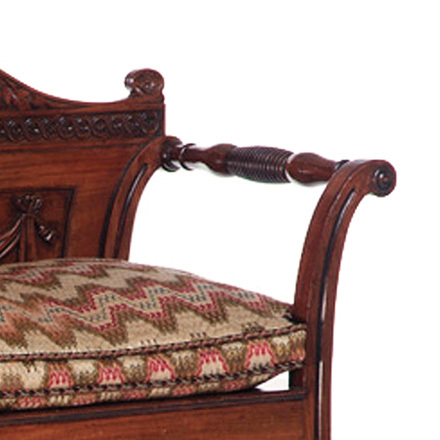 Back panel is centered by a painted oval cartouche, flanked by drapery swags and ring turned arms. 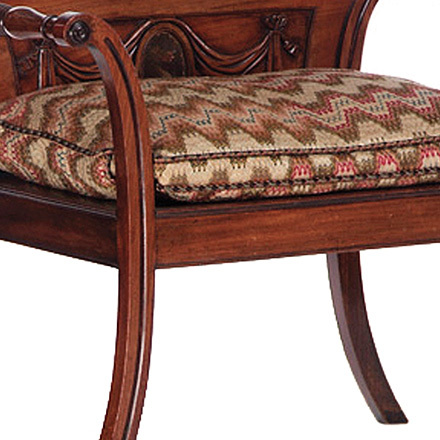 The original pair of the Hall Seats, bearing the Belmore crest, dated c.1800, in the Collection of Mr. and Mrs. Gordon Getty, San Francisco.